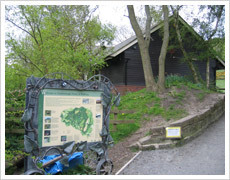 The Friends group was formed in November 2003 by countryside volunteers who wanted to improve facilities at Guisborough Forest & Walkway for the benefit of visitors and the local community. We continually work towards promoting and improving educational and recreational facilities and resources at both sites in an effort to encourage use of the countryside by as wide a spectrum of people as possible. We encourage local community involvement in the improvement of their local environment, and help Redcar & Cleveland Countryside Rangers and Forestry Commission staff to manage the sites in a way that will conserve and enhance their natural and industrial heritage. Anyone with a genuine interest in improving the site is welcome to join the group to help with conservation tasks, events, fundraising, guided walks or admin work, to name just a few of the activities on offer. It is also a great way to meet new friends with similar interests. Just click on the ‘Join us’ tab for details. As a member of Friends, you will receive regular newsletters, minutes of meetings, discount on Christmas Trees and discount on the larger events at the Walkway. You are invited to participate in our quarterly meetings, held at the Centre, usually on a Friday evening, and help Friends and Volunteers decide on what we need to work on to keep improving our beautiful Walkway, and also what events we hold to raise funds. Dates will be forwarded with the minutes, but alternatively please ring the Centre - 01287 631132 for more details.